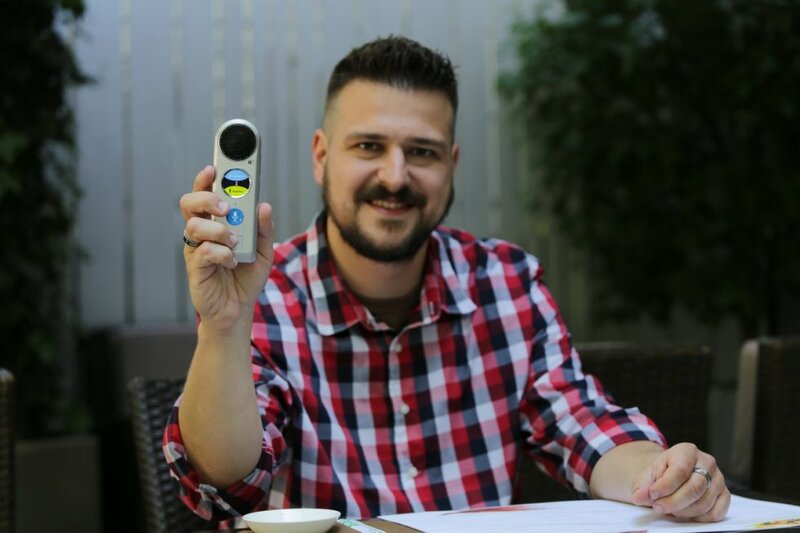 Pocket translator - LANGIE online/offline two-way voice translation in 52 languages, comes with the first two-way translate patent in the WORLD with direct voice translation. 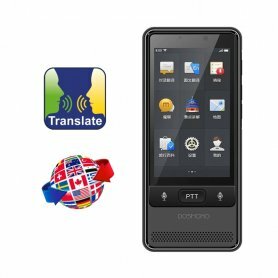 Pocket translator - LANGIE online/offline two-way voice translation in 52 languages, comes with the first two-way translate patent in the WORLD with direct voice translation, thanks to which it will be no longer a problem for you to understand people while traveling around the world. Do you travel and discover new places? Do you need to translate a language? You certainly remember the unpleasant situations that occured because of the language barrier. Not anymore! 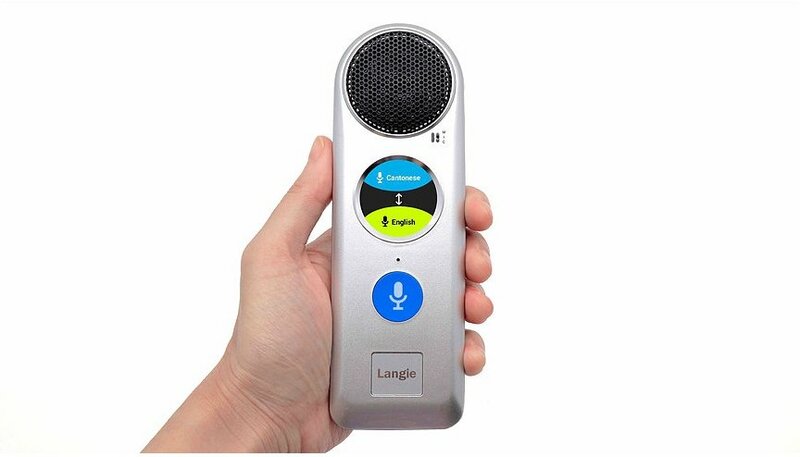 This LANGIE translator, containing up to 52 incredible languages will make your communication abroad easy for you. With this unique language tool, new opportunities are waiting for you all over the world! It is intended for everyone, whether children or older people, who will appreciate easy use of the translator. The translator is for sale at our e-shop with a price that is more than adequate for its wide use - Free translation for all. 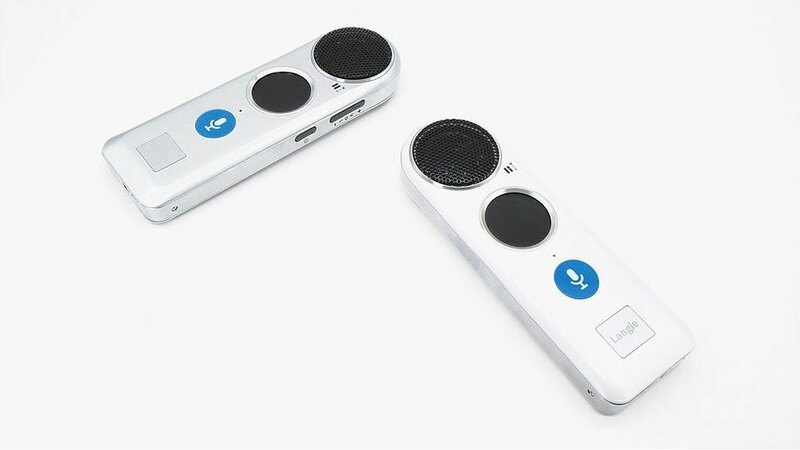 This revolutionary device also serves as a multimedia player for videos, pictures, or as a group translator (you can pair more LANGIE translators) - especially suitable for multiple foreign delegations. Another option for you will be the possibility of learning a foreign language - a sophisticated learning software. This is REVOLUTION IN COMMUNICATION !!! 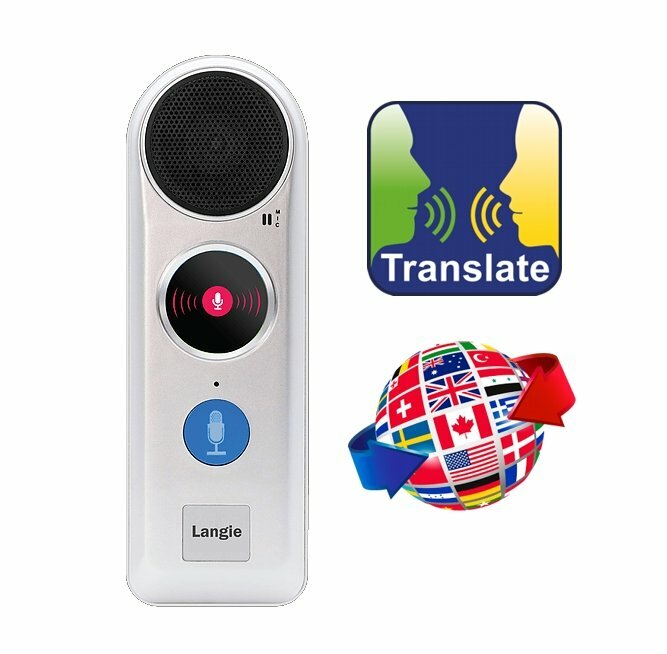 Langie translates into 52 languages and all in the form of sound and truly UNIQUE EXACT TRANSLATION ! 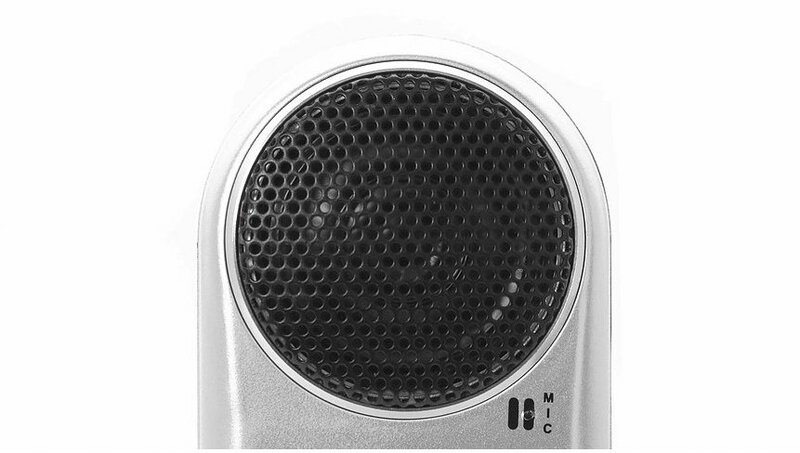 The Langie is equipped with a built-in 1" touchscreen LCD and a dual system of high-quality speakers and microphones. 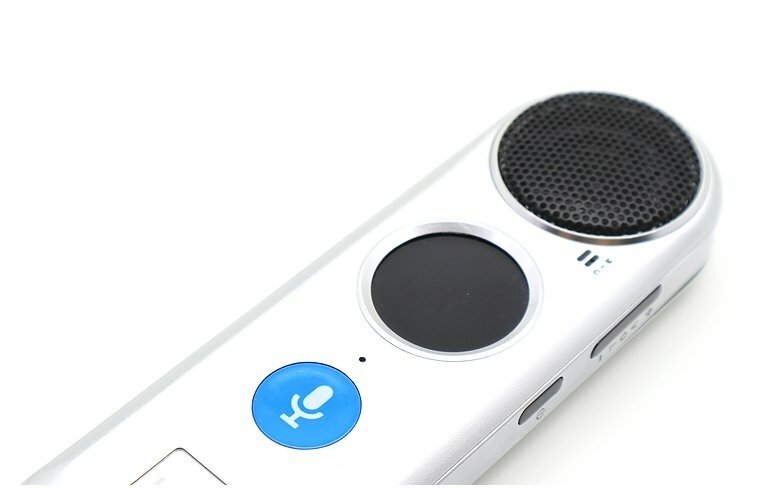 One microphone and speaker is on the front side of device, through which you can speak the message in your own language, and a man beside you (foreign person) will instantly hear the translation into his language. If you want to translate some text or words into another language, simply press and hold the blue microphone button and release it after the spoken message (text) is over. Within 1-2 seconds, the translator translates your message in the form of text viewed on the display, and this message will also be launched in the audio form (this language must be supported). 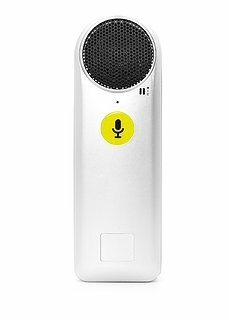 If you want to translate what the other person tells you, simply press and hold the yellow microphone button and release it again when the message is finished. The whole process is incredibly simple. Very practical is also the function of the GROUP translator and it will certainly find its application in various foreign delegations. Here you can tell the text (to pair with 2 or more LANGIE users) and foreign visitors will see and hear the message in their own language. 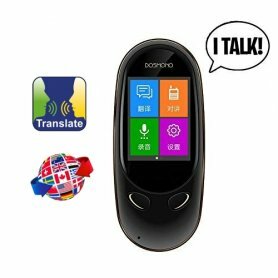 A pocket translator can recognize your voice and then translate it in real time into a large number of languages, making it a great language tool for travel, self-education, shopping or business. It translates your words straight away and therefore makes you feel as if you were directly communicating with another person. 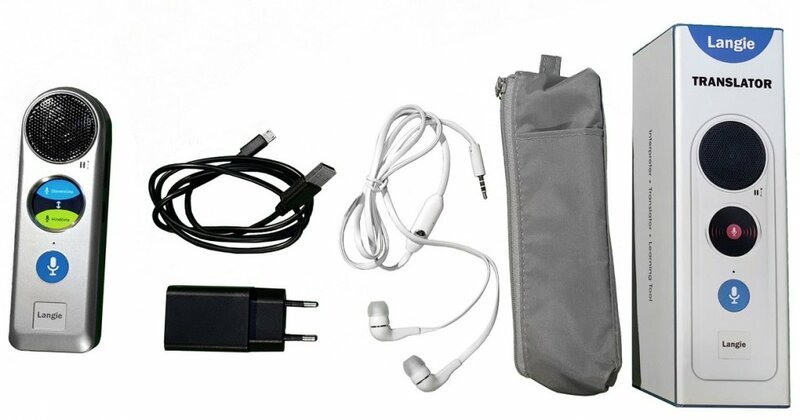 Thanks to the practical mini design, it is very easy to carry, you can put it into your pocket, handbags etc.. It works on a very simple and intuitive principle. Just hold the touch key on the device while you say words, then release and the device immediately translates the required words. There is no better feeling how to travel around the world without any stress and complications with 52 tongues in your pocket, literally. You need for example, English-Spanish translator? No problem! This translator of texts and sentences will easily manage it. 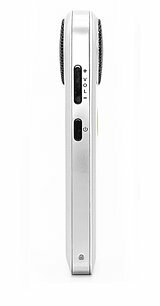 The battery life, which is up to 5 days in standby mode/5 hours of continuous operation, is interesting feature as well. Here you can look at the table with supported languages of LANGIE translator. (all languages ​​translate phrases even in text form on the LCD). 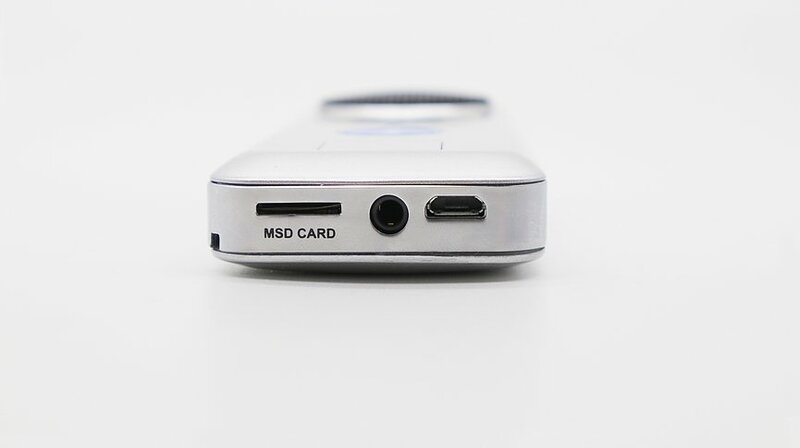 Multimedia support - picture gallery, digital voice recorder, video and music player. Educational function - contains voice and picture education for basic languages. So you can learn the language wherever you go. Sound enhancer - records and then strengthens your spoken words, greatly helps in communicating with people who have worse hearing. Voice search for images - Recognizes your voice and then searches for the desired thing in the form of an image. Group interpreter - Join a group conversation with people in different languages. It recognizes your voice and then translates it into a large number of languages. For better word recognition, WiFi internet connection is required. Recognizes your voice and then searches for the image you want. WiFi internet connection is required. Bluetooth connectivity allows group conversations with people in different languages. WiFi internet connection is required. It recognizes your voice and can translate short phrases or simple words based on the embedded algorithm used for comprehensible translations. It supports only 12 world languages. With embedded software, you can learn the selected world language very quickly and efficiently. 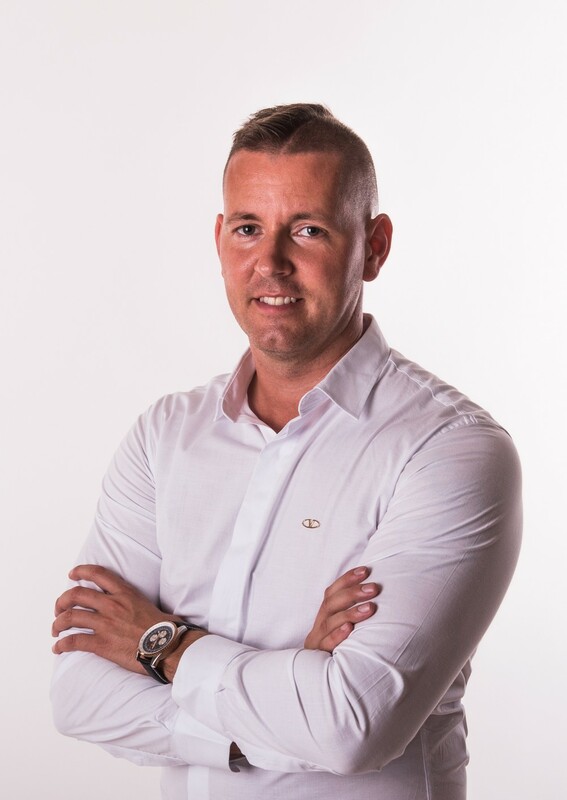 LANGIE is an advanced IT product of the latest generation. In order to achieve the best translation results, it works with 7 online search engines. The manufacturer has even more than 20 years of experience in the market of education and translation in various world languages. LANGIE is constantly expanding and updating its OTA database directly to your device to provide the most effective handheld tool for translation into other languages ​​of nowadays. Do I need wi fi for Turkish translation? Does it have it's own wifi? Otherwise it would be difficult to always be in a wifi location I guess. where can jt be purchased>andviewed? HI, you can buy it directly online at our e-shop. Hi, for offline translations it supports the following languages: English, German, Russian, French, Spanish, Italian, Portuguese, Dutch, Chinese, Japanese, Korean, Indonesian.